What is fundamentally wrong with government today? 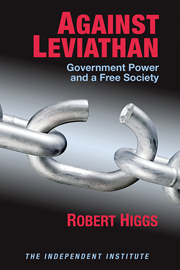 In Against Leviathan, economist and historian Robert Higgs, offers an unflinching critical analysis of government power. Against Leviathan combines an economists analytical scrutiny, an historians respect for the facts, and a refusal to accept the standard excuses and cruelties of government officialdom. 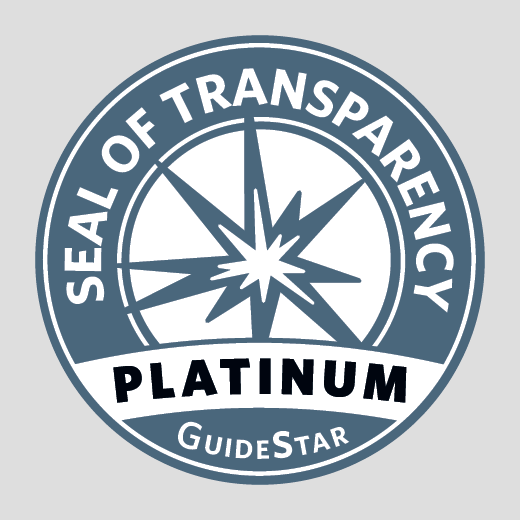 Topics include Social Security, the paternalism of the FDA, the War on Drugs, the nature of political leadership, civil liberties, the conduct of the national surveillance state, and governmental responses to a continuing stream of crises, including domestic economic busts and foreign wars both hot and cold. Against Leviathan is a thorough and penetrating critique, and a significant contribution in this current time of crisis and unchecked expansion of government power. 1. Is More Economic Equality Better? 28. To Deal with a Crisis: Government Program or Free Market? Part VI. Retreat of the State? 38. On Ackerman's Justification of Irregular Constitutional Change: Is Any Vice You Get Away With a Virtue? 40. Thank God for the Nation State? If we had to use a single word to describe what is fundamentally wrong with government today, the best word would be fraud. Government is not what it claims to be (competent, protective, and just), and it is what it claims not to be (bungling, menacing, and unjust). In actuality, it is a vast web of deceit and humbug, and not for a good purpose, either. Indeed, its true purposes are as reprehensible as its noble claims are false. Its stock in trade is pretense. Yet the velvet glove of its countless claims of benevolence scarcely conceals its iron fist of violence and threats of more violence. It wants to be loved, but it will settle for being feared. The one thing it will not do is simply leave us alone. A major part of it is the vaunted welfare state, a hydra-headed legal and bureaucratic monstrosity that purports to protect people from every common adversity of life, while redistributing income and wealth in serene disregard of that redistributions many destructive consequences for the entire society. This gigantic undertaking fails every moral and practical test imaginable. Nor do its consequences take their toll once and for all. Far worse, they eat away at the moral, social, and economic foundations of what was once a considerably more honest and self-reliant culture. Efforts to build Leviathan have been led by several great presidents. Higgs debunks the myths that surround these and other political leaders. The most renowned of all was, and remains, Franklin D. Roosevelt, who continues to serve as a model for ambitious and unscrupulous aspirants to the presidency. Roosevelt, however, was not the strong, compassionate, and charismatic hero portrayed in the prevailing myth; instead, he was a wily and successful politician whose intelligence, knowledge, compassion, and sense of responsibility fell far short of excellence. His New Deal embraced policies that prolonged the Great Depression for years, causing enormous unnecessary suffering. Later presidents, aping Roosevelt, failed to achieve his enduring mass popularity but came close to equaling his duplicity and mendacity. The gap between governments pretense of protecting people and the reality of its harming them is perhaps nowhere greater than in relation to the Food and Drug Administration, a power-grabbing agency whose expansive regulations, far from saving lives, have resulted in hundreds of thousands of premature deaths, unimaginable human suffering, and the suppression of liberty in the most intimate areas of human life. Unfortunately, by means of regulatory harmonization, such regulation is now spreading across the world, and its global adoption will certainly crush individual choice and confine every countrys population in an iron cage of paternalistic tyranny from which no place of refuge will remain on earth. Not content with such faux-protective soft despotism, the U.S. government has exercised a steel-hard variety in its never-ending war on drugs, a destructive assault on individual liberties that has had, and continues to have, immense adverse effects throughout the world. Among other outrages, the governments of the United States at all levels have now jammed more than 2 million persons into jails and prisons and subjected 5 million others to probation, parole, or some other form of correctional supervision, in large part by conducting the drug war. The governments true depravity is captured in its menacing command: when I say pee, you pee. Not even the composition of peoples urine now escapes the governments despicable violation of their natural rights. Proceeding hand in hand with this futile crusade we find an advancing secular therapeutic ethos in which every human misstep represents a disease from which only a government-imposed treatment can save us. Thus, a cultural development that might otherwise have been dismissed as merely misguided or silly has greased the skids for ever more intrusive government actions that now penetrate homes, schools, courtrooms, prisons, and a variety of other venues in a quest to save people from their insufficient self-esteem and the manifold maladies to which that insufficiency supposedly gives rise-all such programs resting, as usual, on threats of government violence. Government management of the economy, which has been actively conducted in the United States since the early twentieth century, presupposes that the government knows what to do and that it has an incentive to take the proper actions, but such presuppositions have no firm basis in reality. In fact, the government excels at only one thing: stripping the populace of its rights and of trillions of dollars in the form of taxes, tolls, fees, confiscations, and other takings. Sad to say, other governments are in relative terms even more rapacious. Higgs presents evidence that contradicts the thesis that the growth of government has been checked in the economically advanced countries. Not only have government revenues, expenditures, and borrowings continued to mount, but government regulatory burdens have grown apace. If governments have come to wield vast economic powers, they have done so in large part as a result of the policies and practices they first adopted during great national emergencies, especially during the two world wars, which provided plausible occasions for the adoption of multiple government economic-management schemes-everything from interference in labor-management relations to wage-price controls to central allocations of raw materials and, worst of all, the conscription of men to serve in the armed forces. Strange to say, the government has always bragged about plunging the nation into World War II, in no small part because it got the economy out of the depression. Higgs shatters this tenacious myth by demonstrating that economic conditions in the United States during the war had nothing in common with economic prosperity as commonly understood. Military Keynesianism, which has flourished for decades, has no basis in defensible data or in sound economic analysis. After World War II ended, the U.S. government quickly launched into fighting the Cold War. For the major players of the military-industrial-congressional complex (MICC), this was a tremendously good deal, so good that when the Cold War ended, the MICCs movers and shakers decided to keep plowing ahead as if nothing had changed-same force structure, same kinds of weapons, same chronic waste, abuse, and mismanagement. The attacks of September 11, 2001, ought to have revealed this military house of cards for the sham that it is, but when government runs the show, cause and effect dont work normally. No heads rolled; nobody was punished for failing to protect the American people. Instead, the MICC was rewarded by the biggest run-up of military spending in a generation, proving once again that for the national-security apparatus, no failure goes unrewarded. Confronting the widespread belief that the era of big government is over, or soon will be, Higgs offers evidence that this anticipation represents little more than wishful thinking. In his view, the U.S. government continues to grow stronger, not weaker, all things considered. Perhaps the most important reason for the ongoing growth of government is ideological; it is that so few people in the United States now really give a damn about living as free men and women. After a century of fighting a losing battle against their own governments, they have accommodated themselves to the governments victory. In effect, they have finally accepted that the best course open to them is simply to label their servitude as freedom and to concentrate on enjoying the creature comforts that the government still permits them to possess. They may be slaves, but they are affluent slaves, and that condition is good enough for them. Robert Higgs is a Senior Fellow at The Independent Institute and Editor of the Institutes quarterly journal, The Independent Review. He received his Ph.D. in economics from Johns Hopkins University and has taught at the University of Washington, Lafayette College and Seattle University. He is the author of The Transformation of the American Economy 1865-1914, Competition and Coercion, and Crisis and Leviathan, recognized as one of the classic works on the growth and abuse of government power. His articles have appeared in The Wall Street Journal, Los Angeles Times, Chicago Tribune, and San Francisco Chronicle. He has been a guest on NPR, NBC, ABC, C-SPAN, CBN, CNBC, and Radio Free Europe. He lectures at universities and conferences around the world.